Founded in 1989, the Family Business Resource Center provides long-term, durable solutions for strengthening the business and the family behind it. The Family Business Resource Center helps family-owned businesses plan for orderly and effective succession transition, create family councils, develop new leadership, and solidify governance issues. It also provides team-building and executive-development consultations. Square D Company, Quanex Building Products, Payless ShoeSource, Chase Manhattan Bank, and Microsoft. 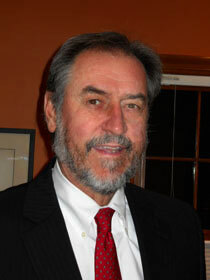 Jack Fitzpatrick, PhD, is a principal of the Family Business Resource Center. Fitzpatrick is skilled at understanding the emotional dimensions, as well as the business and organizational aspects, of families working together. In addition, Fitzpatrick is the President of the Fitzpatrick & Francis Family Business Continuity Foundation, which supports the growth and development of family business advisors. 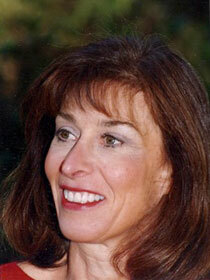 Fitzpatrick formerly was director of consultation services for seven years at the Menninger Leadership Center. Under his auspices, the Leadership Center provided individual and organization consultations, including customized executive consultations for senior managers and their spouses. He was trained as a psychoanalyst and family therapist at the Menninger Clinic. He was born in Plattsburgh, New York, graduated from Georgetown University, earned a master's degree from UCLA and holds a doctorate from the University of California at Berkeley. Fitzpatrick serves on the board of directors for The Robb Company and previously served on the board of directors of Third Federal Savings and Loan Association of Cleveland. Fitzpatrick has three daughters and three grandsons. He and his wife Anne Francis reside in Topeka, Kansas. 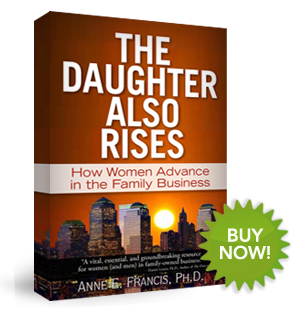 Anne E. Francis, PhD, is the author of The Daughter Also Rises: How Women Advance in Family Business. A completely revised and updated edition of this book, first received enthusiastically in 1999, will be published in August, 2012. Francis wrote—and revised—The Daughter Also Rises to help women develop themselves as leaders and take the business into the next generation. She maintains that women must assume responsibility for their own professional development and overcome the barriers that may keep them out of the corner office. She and Jack Fitzpatrick, her husband and business partner, are the founders of the Family Business Resource Center, a consulting firm that provides long-term, durable solutions to family businesses and the families behind them. The Family Business Resource Center helps family-owned businesses plan for orderly and effective succession transition, create family councils, develop new leadership, and solidify governance issues. It also provides team building and executive development consultations. Francis is licensed as a clinical social worker and a marital and family therapist. A Kansas native, she earned her master's degree from Kansas University and her doctoral degree from Kansas State University. She received postgraduate training at the Georgetown Family Center in Washington, D.C. She was a clinical supervisor in the Karl Menninger School of Psychiatry. Francis formerly directed employee assistance programs through the Menninger Clinic, and provided executive consultation for senior managers and their spouses.